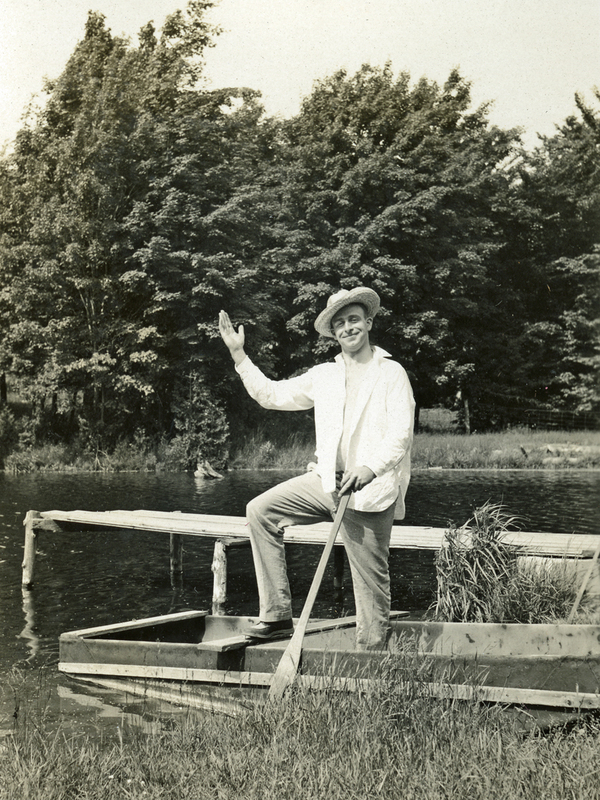 As summer made its exit at 4:44pm today, I thought of this lovely photo in the Kitchener Public Library collection. It is a June 1933 photograph of Jack Beynon. According to my research on the image earlier this year, the photograph was likely taken at Sunfish Lake, northwest of the city of Waterloo. As Jack playfully waves at the camera, I can’t help but think that we are waving good-bye to the summer of 2013 – one which was filled with a lot of great family history memories for me (which I will share in the coming weeks). I hope that your summer was memorable and let’s look forward to a fall full of promise and discoveries in your local history and genealogy journeys.